Jumping ship from the mobile market to Nintendo Switch, Forever Entertainment’s Millie promises to be a, “joyful, casual puzzle game that will tease both your wits and your memory,” but it forgot to mention another quality needed to properly enjoy this one: patience. Tread on your 100 legs lightly…. Equal parts Pac-Man (the maze structures and pellet eating) and Snake (you get bigger the more you eat) each level sees you trying to reach a set pellet count before the exit hole opens up that will let you progress to the next level. 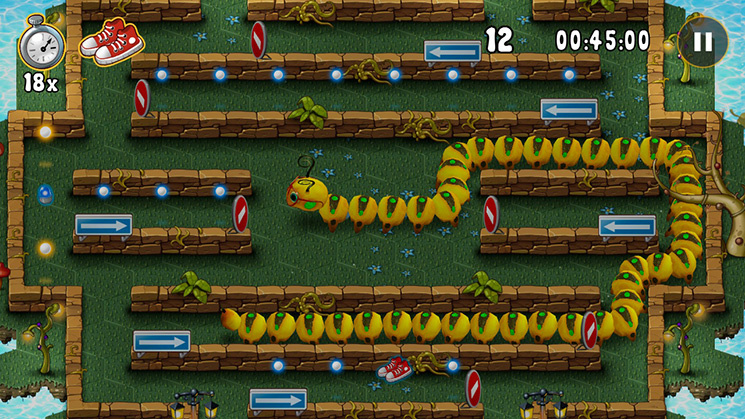 This Switch version immediately provides superior controls thanks to physical button input rather then touchscreen controls used to move the titular millipede around. 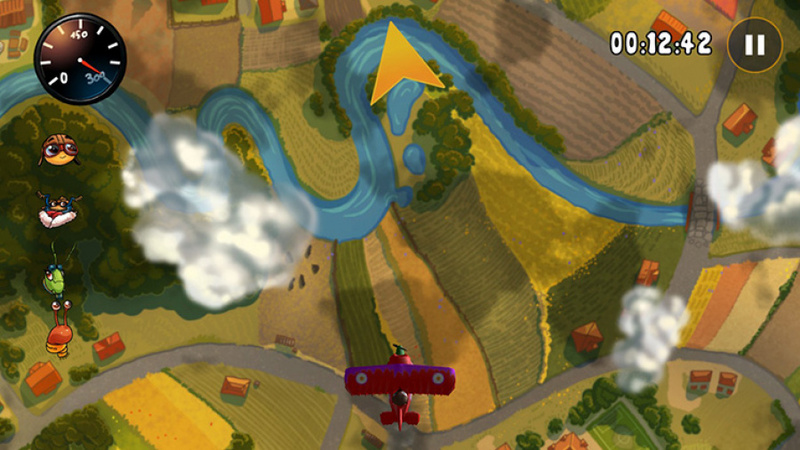 However the game’s level design carries over from the mobile version and these can become the real deal breaker here. From the nearly 100 levels and three different environments, the first few are quite manageable and give you a good ongoing tutorial about the different items Millie can use to bash in walls, travel in one way corridors and other such gameplay eccentricities such as under and over passes. However, later levels are so huge and filled with lethal choke points that even with the zoom button you will not be able to properly judge your correct path except trough trial and error. Items such as the scissors (which enable you to cut up some of Millie's size) and the all important clock (which handily rewinds the action a few seconds before you made that inevitable bad turn that leads your head straight into your body) become fundamental to tackle later stages, but their uses are limited. Fortunately, the 'Store' option on Switch enables you to buy packs of them for in-game stars you are awarded for level completion (instead of via real life currency like in the mobile version). Even if you don’t run out of them it is possible to make a mistake that will force you to restart the whole level again - quite a disappointment when you have been running around for the past 10 minutes only to realise your initial path decision led you to your ultimate demise. Oh, there are indeed airplanes in the game, not that you would notice. They feature in the three mini-games you will be able to unlock - which play nothing like the maze running core gameplay of the game. So there's that. 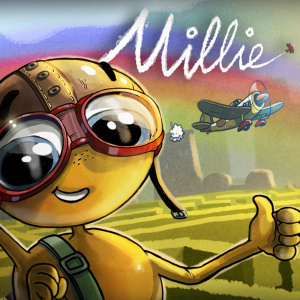 Millie is without a doubt a video game: it has defined rules, properly implemented game structure and clearly explains how to achieve victory. But it was clearly designed for another market, the casual mobile market and it cannot escape those origins. While it will be able to entertain the younger gamers among us, the later portion of the levels will test the patience of any gamer of any age, something that even the low price point can’t excuse. There is some fun here for puzzle/maze runner fans to be found, but we must caution readers that this millipede might never take off. Switch doesn't need games like these. Period. Mobile games should remain on mobiles. I wished Nintendo would give me the option of obliterating this crud from my eShop page. Making games like this is good fun. And with the advent of digital distribution, I can't really say it's a waste of resources to make them available. Some parents might be interested in some good excuses for hooking kids below 8 on the Switch instead having them fumble around phones/ipads. Still, when we look at what was possible to create 25 years ago for the original GameBoy, a game like this is a hard sell to accustomed Nintendo players. Poor Millie, just a 5. Do we really want that many mobile phone games ported to the Switch just to make a fast buck for the developer. At least it's at a pretty reasonable price point, but it does look like a pretty mediocre game. Too many high quality indie games available on the eShop to waste time on anything that's not so great. @lemonjellydude That is what frustrated me. 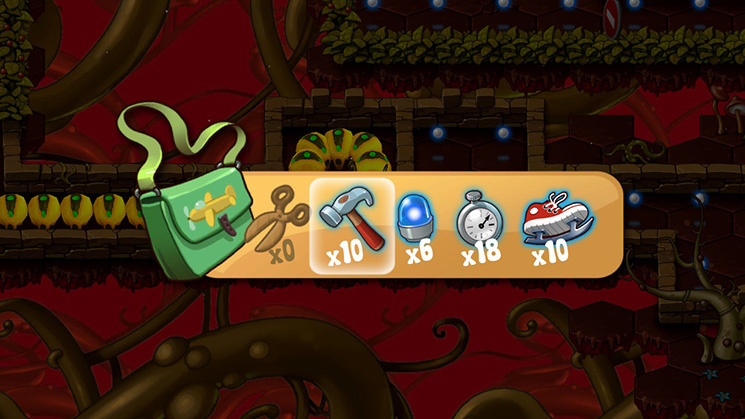 It IS fun, but flawed from the level design point as you progress. @zool In fairness, that's what a lot of developers are doing on the Switch, Indies are 3rd parties included, not just mobile phone developers. They're all looking for a quick and easy buck with these cheap ports. Very few are putting original content on the Switch. First Brawl and now this. To complete the collection we need a new indie title called "For we you"
I thought this looked cute at first glance, but glad I decided to skip. All you have to do is say it is originally a mobile title and I don't expect much. Mobile games are, almost always, crap.